By getting fast payday loans, wedding guests don't need to worry about having enough cash to participate in the wedding festivities. CashWire.com, online payday loan provider, is now helping wedding guests have more fun on the dance floor this upcoming wedding season by allowing them cash on hand when they need it for any number of expenses associated with attending a wedding. Because wedding season is right around the corner, invitations are filling mailboxes all over the country, and with those invitations come a lot of related expenses. Wedding registries are full of expensive gifts, and planning to have pocket money in the event of a cash bar at the reception is important. By getting fast payday loans, wedding guests don’t need to worry about having enough cash to participate in the wedding festivities. 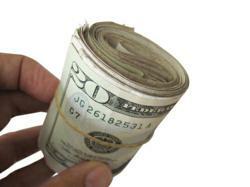 Payday loans are an easy way to have access to cash when it’s needed. Because expenses for wedding guests can be so high, it’s tough - and sometimes impossible - to wait until the next payday to buy a gift, a suit, a dress or to make travel arrangements. These loans can also help guests in the event of an unforeseen financial emergency, such as having to have a car repaired, by still allowing them to attend the wedding and celebrate. Receiving online payday loans can even help a bridesmaid get a new dress delivered overnight in case it was ordered in the wrong size, or a shoe heel ripped the seam. CashWire.com is different from other traditional payday loan providers. They are a matching service, and because of this, they place borrowers with the most appropriate payday loan lender to fit their needs. With an easy online application process that takes only two minutes and requires no paperwork, CashWire.com can match a borrower with a lender in a matter of seconds. The lender, in turn, will wire the money to the borrower’s account in as little as one hour. The lenders working with CashWire.com can offer up to $1,500, which allows everyone to have access to quick cash when they need it most. Along with using CashWire.com’s fast payday loans to help wedding guests give the bride and groom a celebration to remember, the loans can also help pay for hotel rooms, airplane tickets or a new pair of shoes for the occasion. Having access to cash when it is truly needed is a great comfort to anyone during the upcoming wedding season. By using CashWire.com, borrowers can dance the night away in a new dress, partaking in the happy couple’s special night, without worry. CashWire.com is a lender matching service providing customers with access to fast, secure online payday loans up to $1,500. With a convenient online application and accommodating payment options, borrowers get the cash they need when they need it.